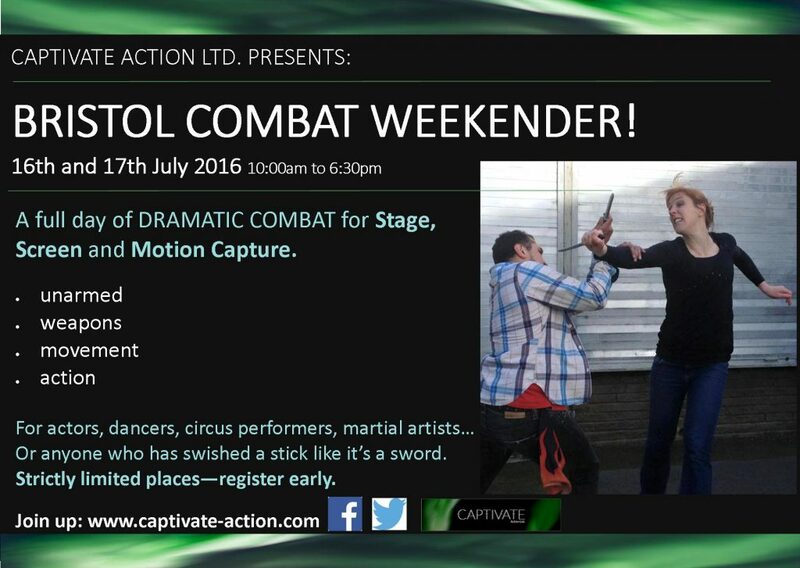 BRISTOL COMBAT WEEKENDER | Captivate Action Ltd.
A full weekend of throwing yourself into dramatic fighting for theatre, motion capture and film! 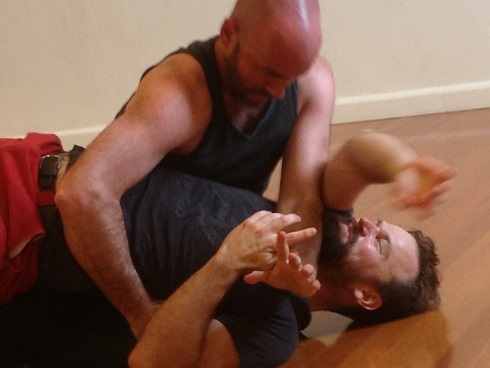 We will be diving into dramatic violence with weapons and unarmed fighting in a selection of styles. 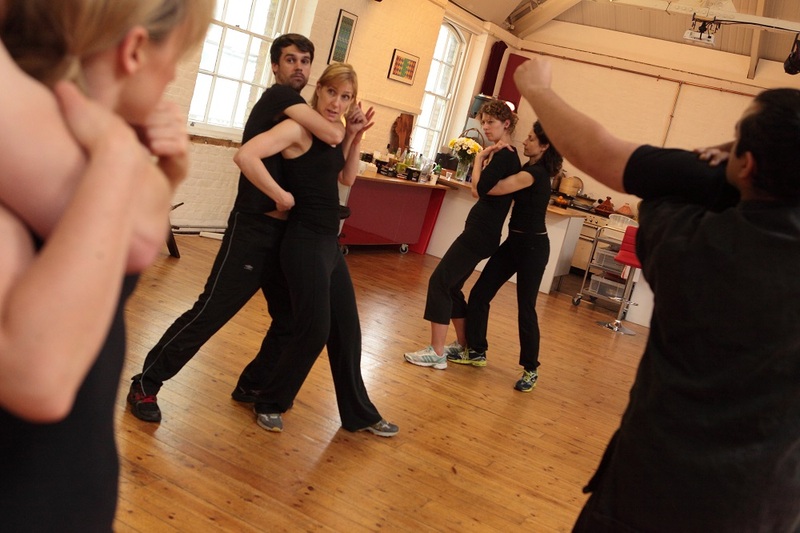 The focus of the weekend is how you as the performer can tell a story through action and bring out the dramatic moments in a scene. So while learning the techniques of illusion, we will also look at how you can quickly access truth, character and intention – to heighten the reality and dramatic impact. 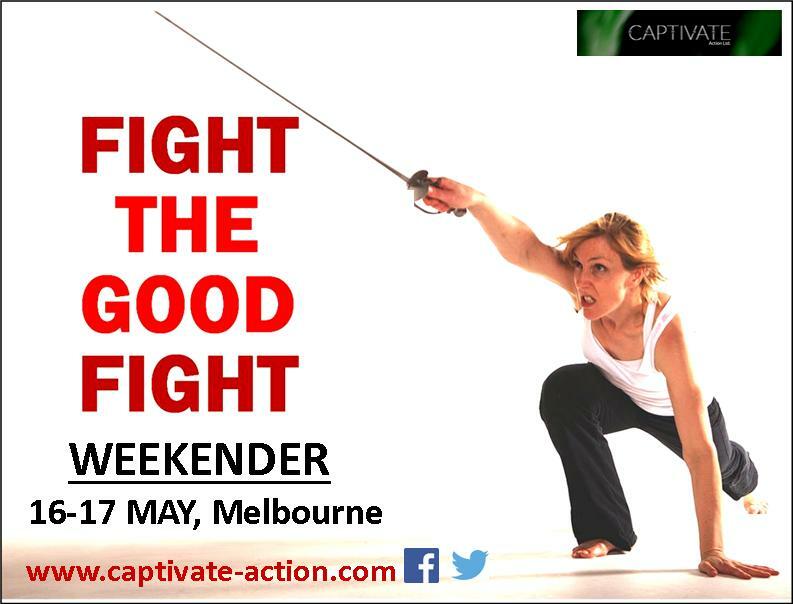 By the end of the weekend you will have increased your skill base and artistic range, and will have furthered your understanding of how to work and perform in this industry – how to create safe but effective dramatic violence. The course will cater to all levels of experience. We also cater to all levels of physical fitness and abilities – although of course the more in-shape you are, the more you can get out of the weekend. We accept bank transfer or PayPal (3% additional fee), so let us know what is the easiest method of payment for you. HOW DO I REGISTER AND JOIN IN? Simply fill out the online registration form, and we will reply shortly after with your confirmation and payment details. If you don’t hear from us within 48 hours, first check your junk mail, and then get in touch! The registration form is quite pedantic. You should immediately see a text box confirming your submission. If not, check for errors!